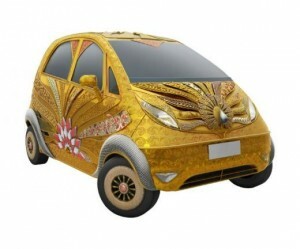 Tata Nano realized, in a partnership with Titan (Gold Industry Indian Company) a luxury model all-dressed in gold. You all know that Tata Nano is the cheapest car in the world, but the golden one should be a little bit expensive. 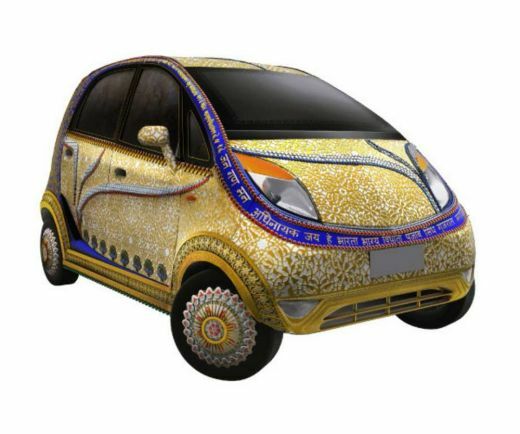 The original version costs only $2,500 and has a 624cc engine that offers 33 hp. This model looks very funny. 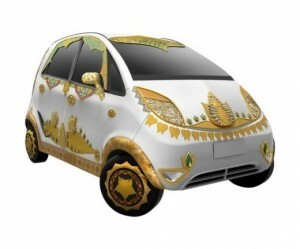 It’s a golden toy or what?